COERLL is thankful to have received the Title VI language resource center grant for 2018-2022, which means we have a lot of new projects in the works. You can read a summary below, or learn more on the Projects page of our website, which has more details about the projects and who is leading them. Be sure to also check out the website for the fifteen other Title VI language resource centers. Trayectos: A Multiliteracies Approach to Collegiate Spanish is a collection of performance-based OER for beginning and intermediate second language learners of Spanish, developed by Texas A&M faculty and graduate students using the Learning by Design approach. COERLL provides teacher development through workshops and online communities, where participants’ own work is published for other teachers to use. Texas Coalition for Heritage Spanish (TeCHS) is a platform for members to share data and pedagogical resources, collaborate on best practices, connect with community organizations, and advocate for Spanish heritage language teaching. Games2Teach Collaboratories are interactive workshops where teachers play technology-mediated games, learn how game design principles promote language acquisition, and learn to implement games in their classrooms. Based on work by CASLS and CERCLL. Foreign Languages & the Literary in The Everyday (FLLITE), a project with CERCLL, aids instructors in designing their own literacy-based lessons that focus on the poetics of everyday language (letters, YouTube videos, etc.). Juntos: The Heritage Spanish Lesson Project is a series of proficiency-based lessons related to personal life, college tasks, career readiness, and civic participation for Heritage Spanish learners in grades 6-12. Recorridos: AP Spanish Literature Anthology is a multi-volume anthology series of Hispanic literature for AP and other advanced students. Each textbook includes reading activities and glosses, historical and cultural information, and assessments. Her Şey bir Merhaba ile Başlar (Everything Begins with a Hello) is an open-source, online curriculum for Intermediate-Mid Turkish students. Learners use language to investigate, explain and reflect on contemporary Turks’ socio-cultural practices and products. OER for Teaching and Learning Nahuatl aims to develop 30 units of online Huasteca Nahuatl multimedia learning materials for speakers of Spanish and English. Reality Czech: A Course in Contemporary Czech Language and Culture is an online curriculum for beginning and intermediate language students. Modules follow a sequence of pre-class, in-class, and post-class activities ideal for a flipped classroom. Two projects will add to COERLL’s existing Portuguese materials. Brazilpod Teacher’s Guide and Lesson Index helps users integrate media from the Brazilpod website into their teaching and learning. For the intermediate course ClicaBrasil, COERLL will provide a printed textbook to accompany the online videos and readings. COERLL also provides consultation about open pedagogical design to project teams supervised by other grant-funded entities. COERLL connects to teachers through newsletters, blogs, and social media. We support teachers’ work by offering stipends for materials creation as part of the Collaborators Program, and by awarding digital badges in the Language OER Network (LOERN). At the University of Texas, COERLL and other Title VI entities will reach out to students and instructors through More Than A Skill events about language learning as an ethical act. COERLL’s main publications will be the fully-refereed online journal Language Learning & Technology, co-sponsored by the National Foreign Language Resource Center and Center for Language & Technology (both at University of Hawai’i), and “Open Education and Foreign Language Learning and Teaching”, an openly-licensed book of case studies. Editor’s Note: Guest blogger Julie Ward edited an anthology of Hispanic literature with her students, elevating the role that the students played in the class, and proving that the pedagogical affordances of openness are just as important as the low costs most often associated with openness. I initially had the idea to work on OER because of the wonderful OER librarians at my campus. Their initiative to promote the adoption and creation of OER on campus inspired me to propose a project for my Introduction to Hispanic Literature and Culture course, a third-year Spanish course required for Spanish majors. The course generally relies on fairly expensive and large anthologies. I thought that if I assigned texts that were in the public domain, and asked students to choose one particular text to study and prepare for inclusion in an online, open-access anthology, the Antología abierta de literatura hispana, they would have a richer research experience and really get to understand what literary studies are about. This project would also give them the chance to practice their writing in Spanish, and to write for a much larger audience than a traditional classroom paper provides. Students knew that they had the option of submitting their work for inclusion in an open-access anthology, and that anyone with internet access around the world could potentially read their work. This fact motivated them to do their best and to consider their audience. Finally, I was happy that students had the chance to create something that could help other students. Their results of their hard work over the course of the semester are visible and useful. The learning experience doesn´t stop at the end of the semester, but is shared with others. It is also a lasting example of their skills that they could highlight in the future. My goal in leading students to create their own textbook was to help them learn the tools of literary research and give them an audience beyond the classroom or the campus. In small groups, students chose one of the texts studied in our Introduction to Hispanic Literature and Culture course and created a critical edition, complete with introductory information about the author, time period, and literary context; footnotes annotating various aspects of the text itself; and a bibliography for further study. With the help of two undergraduate research assistants, I uploaded the results into Pressbooks, where it is downloadable and accessible in many formats. Now the first edition of the anthology is available for students of Hispanic literature, and I am working on a second edition, with the help of the Rebus Community, that incorporates critical editions made by students at other institutions. My goal is for the AALH to continue expanding and become a go-to, open-access resource for anyone who wants to know more about Hispanic literature and culture. Julie Ward joined the faculty of the University of Oklahoma in 2014 as Assistant Professor of 20th- and 21st-Century Latin American Literature. She holds a PhD in Hispanic Languages and Literatures from the University of California, Berkeley (2013). Her current research focuses on the representation of the real in contemporary Latin America. From the Editor: This is a guest post about a new set of openly licensed activities “The Spanish Language and its Cultures in Perspective”, by Sonia Balasch (Eastern Mennonite University), Alexia D. Vikis, Lisa M. Rabin, and Colleen A. Sweet (George Mason University). This virtual space offers free access to nine original lessons that are oriented towards the teaching and enrichment of intermediate-level students of Spanish. Each lesson consists of readings that are written in Spanish and short, communicative activities. In its totality, these materials or open-access educational resources call upon critical thinking through eight themes closely tied to the Spanish-speaking world. Coordinate with license agreements for open-source educational resources (identified in English as OER, or open educational resources), teachers and students are welcome to make use of these materials. Even more important, we hope that the adoption of these shared lessons can serve as a point of departure for enriched classroom discussions on Spanish-language culture, especially in the United States where Spanish has a long historical presence and exists in myriad, dynamic sociolinguistic contexts. All of the lessons of The Spanish Language and its Cultures in Perspective have been successfully tested in two courses of intermediate Spanish (Spanish in Context I and Spanish in Context II) that are taught at George Mason University’s main campus in Fairfax, Virginia. Lessons for these courses were grouped in two sections, as the following diagram shows. The lessons of group 1 formed the backbone of the course Spanish in Context I, while those of group 2 sustained the course Spanish in Context II. However, because each lesson was created independently, they may be put to use in the ways in which teachers themselves find them beneficial to their classes. In the end, the key goal of these lessons is to engage with themes that are rarely covered in intermediate courses of Spanish that we teach in the United States. In the best of all cases, students and teachers will build fruitfully on the critical perspectives that they are exposed to in The Spanish Language and its Cultures in Perspective. Editor’s Note: Josie Jesser created videos of elementary school students speaking Spanish as part of our COERLL Collaborators program. Here, she explains her process. If a picture is worth a thousand words, then a video is worth even more. Even just two minutes of “screen time” can engage or re-engage students by pulling them into a world outside their classroom. As soon as the faces appear on the screen, the students’ curiosity is switched on. Who are these people? Where are they? What are they saying? I’ve found the engagement multiplies when the images are of students the same age as mine. With this classroom experience in mind, I set out to create a few more options for my students in the Spanish classroom. I wanted to film kids the same age as my students, speaking Spanish naturally but answering simple questions so the students could understand. Our best resources are in our own backyard – see if your school district has any Dual Language Schools and reach out to the administration to set up visits to these schools. Be clear about the purpose of the videos (that they will be Open Educational Resources) and ask for names of specific teachers that would be willing to work with you and suggest students that would be comfortable in front of the camera. When making appointments to film, request a quiet location in the school, such as an empty classroom or corner of the library at a time it’s not being used. Explain to these teachers that you’ll need parents to sign permission slips (Media Release Forms), which you can collect on the day you show up. Use a tripod. Whether an iPhone, iPad, or digital camera is used to film, a tripod ensures consistency and steadiness for the viewer. Keep the camera at the students’ eye level. Have the students look over the questions before you start filming, so they can think about answers. Film 2 students at a time, so 1 student can ask questions and the other can answer. Good questions are never yes or no questions, but the type that encourage students to talk for a little while. For older kids, asking their opinions, their feelings, and what-if scenarios are always great. For younger kids, asking them to describe their daily world works well. Remember to keep it light and fun! Josie Jesser joined the Girls’ School of Austin faculty in 2013. Ms. Jesser completed her Bachelor of Arts in Latin American Studies from Dickinson College and her Master of Arts in Latin American Studies from The University of Texas at Austin. Ms. Jesser has worked as an interpreter and translator (Spanish, Portuguese) and she has lived in Argentina and Brazil. She has also worked in the technology sector, providing client support for Latin American clients. She loves teaching and working with students! Editors note: This post was written by COERLL partner Jocelly Meiners, and originally published in Tex Libris, the blog from the libraries at the University of Texas at Austin, for a special Open Education Week series. In recent years, the development of Spanish language courses designed specifically for heritage language learners has gained much attention throughout K-12 and post-secondary education in the US. Heritage language learners are students who were exposed to Spanish at home while growing up. These students usually have a broad knowledge about their cultural heritage, and varying degrees of language dominance. Over the years, it has been found that these learners have different pedagogical needs than second language learners, and that they benefit greatly from language instruction that is catered to their specific needs. Throughout the country, as more institutions realize these needs, Spanish instructors at all levels are forming programs and creating materials to serve this student population. It seems that we all have some common goals: to help heritage Spanish speakers develop their bilingual skills, to empower them to apply those skills in academic and professional settings, and to feel proud of their cultural and linguistic heritage. So if we all have similar goals in mind and are all working on creating programs and materials to serve these students, why not share all the work we are doing? I have been teaching courses for heritage Spanish learners here at UT for over 4 years, and about a year and a half ago I started working as the community moderator for the Heritage Spanish Community. This web-based community, which is hosted by COERLL (The Center for Open Educational Resources and Language Learning), serves as a space for Spanish instructors to collaborate, share and communicate with others about the teaching and learning of Spanish as a heritage language. We encourage instructors at all levels to ask questions on our online forum, to help other instructors, and to share the materials they are working on. Open Educational Resources are an excellent way to share these types of materials, since they can easily be adapted to the specific needs of each instructor’s particular student population. As community moderator, I add useful content to our website, create interesting questions for discussion, and encourage others to explore our website and share their work. I have also been able to share my own materials as OER, and it has been very rewarding to hear from people in other parts of the country who have found my resources useful and are adapting them for their own heritage Spanish programs. I believe that if we all collaborate and share our resources openly, we will be much more successful in attaining both our personal and common goals. Jocelly Meiners was born and raised in San José, Costa Rica and moved to Austin, TX to attend UT, where she obtained her undergraduate education, as well as an MA in French linguistics and a PhD in Hispanic Linguistics. She is currently a Lecturer in the Spanish and Portuguese Department at UT, where she teaches courses for Spanish heritage learners. 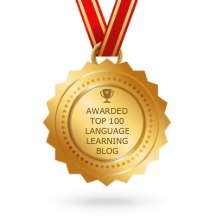 From the Editor: This is a guest post about a new set of openly licensed activities “Empowering Learners of Spanish”, by Claudia Holguín Mendoza, Robert L. Davis, Julie Weise (University of Oregon) and Munia Cabal Jiménez (Western Illinois University). We want to share with students and educators the Empowering Learners of Spanish project from Romance Languages at the University of Oregon. This collection of activities based on Critical Pedagogies developed in the Spanish as a Heritage Language program at the University of Oregon, serves to introduce students to a range of concepts in sociolinguistics and critical inquiry into language ideologies. The activities are written in both English and Spanish, and resources are also in both languages. Working in two languages will allow students to reproduce the linguistic practices of bilinguals. Heritage learners of Spanish should find these practices familiar, and students learning Spanish as a second language will benefit from the scaffolding of using some English. Language development for both profiles of students can be enhanced with the techniques of “intercomprehension”, outlined in the “Guide to intercomprehension” in the resource section in the INDEX. Instructors can decide what language(s) students should use to participate and respond (Spanish, English, Spanglish), depending on their local context, student level, and course objectives. We have developed these units and resources for teaching this content in regular Spanish language programs, including Spanish as a Heritage Language courses, and any other content course where Spanish is relevant! In fact, the first unit that we developed El corrido “El deportado”, has the purpose of supporting the teaching of Spanish to the understanding of primary texts in a course on History of Latinx in the Americas. This class is taught in our History department; it is not a language class per se, but students have made gains in proficiency by working in two languages. Moreover, content-based materials within a language program or elsewhere on campus become an opportunity for students to engage in debating the relationships between language, ideology, power, and the association of discourse and sociocultural change. Ultimately, this type of curriculum fosters the development of Critical Language Awareness regarding language practices in communities of Spanish speakers, particularly in the US. One of our main objectives in the Empowering Learners of Spanish project is to provide students with opportunities to participate in current sociopolitical debates. We include several elements already presented in interdisciplinary critical pedagogies of language and discourse. In this manner, this initiative fits within curricular models that integrate language learning with critical studies in culture and discourse. Heritage and L2 students are able to engage with material that emphasizes language variation, social dynamics of language use, and the historical contexts that generate them. This content makes the ELS initiative particularly relevant and motivating to Spanish Heritage learners. This project has been supported by a generous grant from the College of Arts and Sciences, at the University of Oregon. When he began compiling his textbook anthology Leyendas y arquetipos del Romanticismo español, Robert Sanders knew that his students weren’t taking upper-level Spanish to become professors of Spanish literature. They were mostly minoring in Spanish with other career goals in mind. This sort of insight into students’ needs is what makes open resources authored by language instructors so valuable for modern education. Leyendas y arquetipos is an openly-licensed introduction to nineteenth-century Spanish literature for intermediate university students of Spanish. Dr. Sanders chose the works of poetry, drama in verse, and short stories for their literary interest and the social importance of their themes. After piloting the book with students, he compiled vocabulary, historical, and cultural annotations to facilitate comprehension. Dr. Sanders made many choices in compiling and writing the anthology to allow students the flexibility to pursue their own interests. He did not prioritize any one interpretation of the texts in the anthology. The discussion questions mention scholarly works as a jumping off point for analysis rather than a definitive interpretation. The author biographies in the anthology are short in order to encourage further investigation and richer discussion by students, and the book lists sources for further research, such as Biblioteca Virtual Miguel de Cervantes, the Centro Virtual Cervantes of the Cervantes Institute, or the Biblioteca Digital Hispánica of the Spanish National Library. In his course, students have even created their own multimedia take on a chosen work by creating fan fiction, graphic novels, film storyboards, and musical compositions. The multimedia potential of the book is also reflected in the paintings, photographs from films, and other art that are as valuable as the texts in their potential to teach about literary and social movements of the time. The art provides a whole other avenue of exploration and analysis to students. Dr. Sanders compiled the book himself with support from the Portland State University Library, which has supported the prolific creation of open textbooks (several of them for languages) in order to save students money and provide a customized learning experience. The book has a Creative Commons Attribution-NonCommercial-ShareAlike license, which means that anyone can copy it, share it, and make modifications, as long as they give attribution to the author, maintain the same license, and do not make a profit off of it. With this in mind, what could you do with this book? Has it given you ideas about reading with your students? Tell us in the comments. From the editor: We asked master Spanish teacher and teacher trainer Rose Potter to create some activities that use COERLL’s resources to engage students and satisfy state and national standards for language learning. She created these five simple but effective activities, and describes her approach below. As a young teacher in the 80’s, I often called upon images of Sra. Hartley, my high school Spanish teacher, to guide me through lesson planning. Upbeat, funny and highly energetic, we laughed and sang our way through the ALM drill and kill methodology of the 1960’s. Today, when training pre-service teachers, I understand that their default approach to teaching is the model they experienced. Because their teachers were also learners in the 60’s, 70’s, and 80’s their methodology may reflect that era – or, that of their teachers, products of the 30’s, 40’s and 50’s teacher training. Over time, Madeline Hunter’s “anticipatory set” became “priming activity”, “warm-ups”, “bell-ringer review” and more. However, the methodology did not always keep pace. Instead, students often receive a mini-worksheet at the start of class. They are expected to sit quietly and respond to discrete point items while the teacher takes roll and prepares to teach. This century’s students have trouble doing exactly that. The expected quiet time may become a class management challenge. Today’s LOTE (languages other than English) educators recognize that “warm-up” means preparing the eyes, ears and, most importantly, the mouth. Get them talking! Today’s term “engagement” goes beyond a writing or viewing task, it requires active participation on the part of the students. The steps are not complex: grab their attention, pose a simple task that requires interpersonal communication, use the task to build skills for more complex tasks. That’s it. You will see these steps incorporated into the five engagement activities I designed using COERLL’s materials. As you review then consider the simplicity of each step. Engagement: this can be through an image or video projected on the screen that students see as they enter. Build skills: The questions may contain unfamiliar cognates or verb constructs that make sense in context but are new to students. Keep it simple, but allow them the opportunity to discover the new learning through practice. Learning vocabulary and grammar as a function of communication makes it real for students. The engagement is the first step of an inquiry-based, constructivist approach to learning, the 5E’s lesson plan model. Engage, explore, explain, elaborate and evaluate. For my students, I’ve added a 6th E, Exit Plan, to assure that they close the lesson. Since using this plan with my LOTE students, I’ve seen an enormous increase in the potential for engagement. Rose Potter is an Assistant Clinical Professor of LOTE Education for the UTeach-Liberal Arts Program at the University of Texas, as well as a teacher, writer, consultant, and mentor. Last year, the Mixxer (a free educational website for language exchanges via Skype) offered a MOOC to English speakers learning Spanish and paired the participants with a partner course of Spanish speakers learning English. Using open educational resources from COERLL, Colby College, Voice for America and the BBC among others, the language learners were introduced to new vocabulary and grammar points through texts and audio and then given activities to complete with their language partner from the other course. If you have ever taught a language class, you can think of the language exchange with the partner as a substitute for the partner activities we do most every day in class. Thanks to a generous grant for digital humanities from the Mellon foundation, we were able to hire three education and language students at Dickinson College to create lessons in German, French, and Chinese. Created by Betsy Vuchinich, the Chinese materials use content primarily from the Confucius Institute and the University of North Carolina. The lessons have been designed for beginners of Chinese and are available on the Mixxer site. The German and French lessons, created by Ezra Sassaman and Caitlin DeFazio respectively, are based on the COERLL open textbooks Deutsch im Blick and Français interactif. Both lessons assume some knowledge of the language – roughly one semester – though beginners could start by working through the text on their own. These lessons are currently available and free to use. We had the opportunity to showcase these resources at the CALICO / IALLT conference in Athens, Ohio (May 6 – 10) and received a lot of praise from educators. Of particular interest is the news that we will use these lessons as part of three MOOCs to be offered this summer (starting July 1st). As before, each MOOC will have a partner course for speakers of Spanish, French and German learning English. Learners from each course will then be able to find partners to complete the language exchange activity provided within each lesson. The courses and lessons are open and free to anyone interested. We will be suggesting that our own students join as a way of maintaining their language skills over the summer. A more detailed description of each course is provided below along with the sign-up form. If you have any questions, leave a comment below or you can contact me at bryantt@dickinson.edu. Finding Open Media for Foreign Language Instruction Learn how to search for and find high-quality authentic OER (multimedia, realia, interviews, etc.) for use in language teaching and learning. The Practice of Using and Teaching with OER Explore the practice of implementing OER into teaching and learn specifically about integration of COERLL’s popular French curriculum, Francais interactif, into foreign language classrooms. Focus on SpinTX: An Open Video Archive for Language Learning We unpack one of our most recent projects, SpinTX–a resource for bilingual Spanish speakers in Texas. Learn how to search and tag videos for features that match your interests, and create and share your favorite playlists.